Okay, thanks to my husband, here is another installment of the tool of the month. 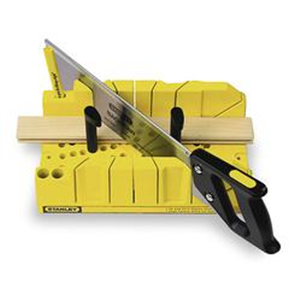 The mighty miter box from $15 to $30. With this box, you can cut molding to make some awesome things for your home. With a miter box, I built this fireplace mantle. Here is an island at the Bunnies Bungalow transformed with a miter box. 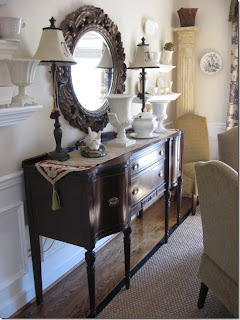 Rhoda at Southern Hospitality transformed her dining room. These ladies took on their home with a miter box and a saw... come on ladies, what do you want to transform?